Score: 11 pages, solo part: 3 pages, piano part: 5 pages. Duration: 4:20. This is a popular recital piece that would work well also in church or school programs. FelixMendelssohn (1809 –1847) was, by allmeans, a German mastermind composer, musician and orchestra conductor of the Romantic period. Consequently,Mendelssohn composed in the usual forms of the time - symphonies, concertos, oratorios, piano music,and chamber music. To summarize, his most famous works include his music for A Midsummer Night's Dream,the Italian Symphony, the ScottishSymphony, The Hebrides Overture, his later Concerto for Violin & Orchestra, and his Octet for Strings. 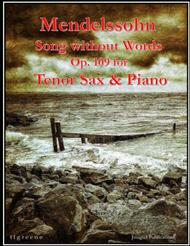 His most well-knownpiano pieces, by and large, are the SongsWithout Words. Musical tastes change from time to time. Moreover,just such a change occurred in the late 19th and early 20th centuries. Thisplus rampant antisemitism brought a corresponding amount of undue criticism.Fortunately, however, his artistic inventiveness has indeed been critically re-evaluated.As a result, Mendelssohn is once again among the most prevalent composers ofthe Romantic era. Mendelssohn was, in fact, born into aprominent Jewish family. His grandfather was, notably, thephilosopher Moses Mendelssohn. Felix was, in fact, raised withoutreligion. At the age of seven, he was all of a sudden baptized asa Reformed Christian. He was, moreover, a child musical prodigy.Nevertheless, his parents did not attempt to exploit his talent. Mendelssohn was, in general, successfulin Germany. He conducted, in particular, a revival of the music of Johann Sebastian Bach, specificallywith his presentation of the StMatthew Passion in 1829. Felix was trulyin demand throughout Europe as a composer, conductor, and soloist. For example,he visited Britain ten times. There, he premiered, namely, many of his majorworks. His taste in music was. To be sure, inventive and well-crafted yetmarkedly conservative. This conservatism separated him by all means from more audaciousmusical colleagues like Liszt, Wagner, and Berlioz. Mendelssohn founded the Leipzig Conservatoire which,to clarify, became a defender of this conservative viewpoint. Schumann notably wrote that"Mendelssohn was the Mozart of the nineteenth century, the most brilliantmusician, the one who most clearly sees through the contradictions of the ageand for the first time reconciles them." This observation points to acouple of features in particular that illustrate Mendelssohn's works and his artisticprocedure. In the first place, hismusical style was fixed in his methodical mastery of the style of precedingmasters. This being said, he certainly recognized and even developedearly romanticism from the music of Beethoven and Weber. Secondly, itindicates that Mendelssohn sought to strengthen his inherited musical legacy ratherthan to exchange it with new forms and styles or replace it with exotic orchestration. Consequently,he diverged his contemporaries in the romantic period, such as Wagner, Berlioz,and Liszt. 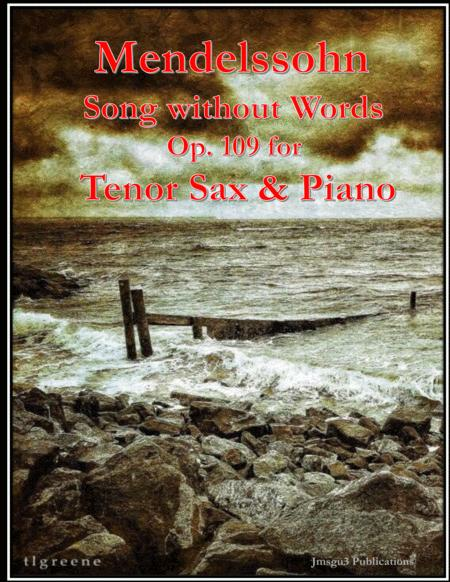 Mendelssohnrevered Liszt's virtuosity at the keyboard but found his music rather insubstantial.